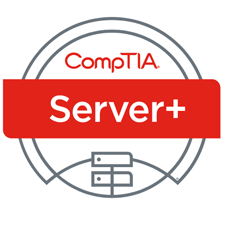 The CompTIA Security+ certification is the industry standard for computer support technicians. It shows competency as an IT professional. The certification, which is international and vendor-neutral, proves competency in installation, preventative maintenance, networking, security and troubleshooting and other areas in numerous technologies and operating systems from such vendors as Microsoft, Apple, Novell, EC-Council, Oracle, and some of the Linux variations. Do you want to achieve CompTIA Security+ certification? 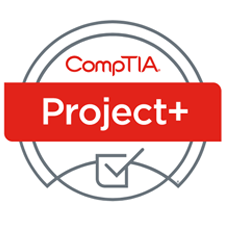 The CompTIA Security+ Certification is a vendor- neutral credential.The CompTIA Security+ exam is an internationally recognized validation of foundation-level security skills and knowledge, and is used by organizations and security professionals around the globe. The CompTIA Security+ Certification is intended for an IT security professional who has: a minimum of 2 years experience in IT administration with a focus on security, day-to-day technical in formation security experience, broad knowledge of security concerns and implementation including those in the domain list below. 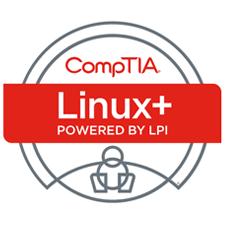 CompTIA Security+ (Exam SY0-401) is the primary course you will need to take if your job responsibilities include securing network services, devices, and traffic in your organization. You can also take this course to prepare for the CompTIA Security+ certification examination. In this course, you will build on your knowledge of and professional experience with security fundamentals, networks, and organizational security as you acquire the specific skills required to implement basic security services on any type of computer network. This course can benefit you in two ways. If you intend to pass the CompTIA Security+ (Exam SY0-401) certification examination, this course can be a significant part of your preparation. But certification is not the only key to professional success in the field of computer security. Today's job market demands individuals with demonstrable skills, and the information and activities in this course can help you build your computer security skill set so that you can confidently perform your duties in any security-related role. This course is targeted toward the information technology (IT) professional who has networking and administrative skills in Windows-based Transmission Control Protocol/Internet Protocol (TCP/IP) networks; familiarity with other operating systems, such as Mac OS X, Unix, or Linux; and who wants to further a career in IT by acquiring foundational knowledge of security s; who is preparing for the CompTIA Security+ certification examination; or is using Security+ as the foundation for advanced security certifications or career roles. Manage data, application, and host security. Identify and implement access control and account management security measures. Identify and implement compliance and operational security measures. Troubleshoot and manage security incidents. You will install, upgrade, repair, configure, optimize, troubleshoot, and perform preventative maintenance on basic personal computer hardware and operating systems. Install and manage network connections. Support laptops and portable computing devices. Identify personal computer security concepts.